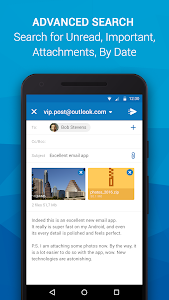 Beautiful design, Intuitive actions, Lightning speed, Advanced security – In a new powerful email app for Outlook & others! 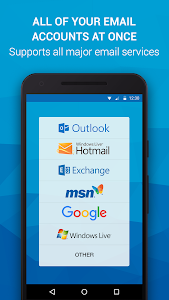 Quick and easy access to Outlook and Hotmail accounts on the go! 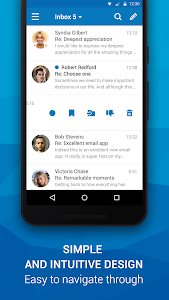 Check email, read, reply, send photos, add and view attachments — stay in touch with friends, family and colleagues. 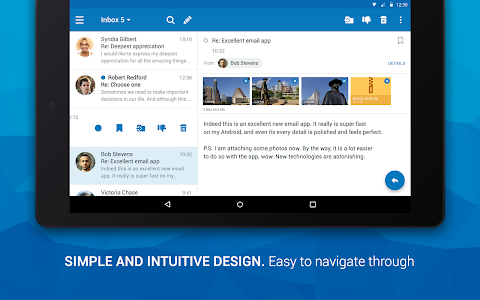 Experience new features to manage your Outlook email on your phone, tablet, or smartwatch in the most efficient manner. 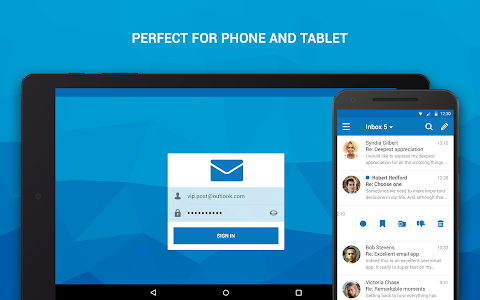 The application also supports all major email services that you can add to have all your mail in one place, whether it is a Microsoft Outlook, Hotmail, MSN Mail, Gmail, Yahoo, AOL, GMX or any POP/ IMAP/ SMTP-enabled mailbox. If you encounter any problems, send us an email at [email protected] and we will try our best to help you in a timely manner. 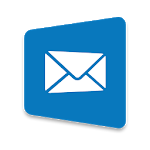 IMPORTANT: We are a free unofficial Outlook email application with a goal to provide an excellent mail management product. 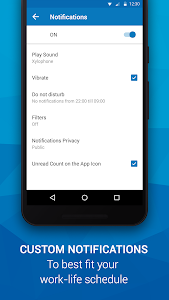 Similar to "Email App for Any Mail"